During the launch of the Warrior energy drink at Sunway Pyramid on 31 March 2017, the author had a chance to speak to Jate Samathivathanachai, Director of Strategy & Investments at Allexcel, about the new product and the company’s strategies. According to Jate, the Warrior energy drink is targeting at 18- to 25-year-olds, also known as the millennial generation. However, he is happy if others drink it because he believes everyone needs energy. He cited travel, school, job, friends and social media as some of the things that keep people busy. Warrior is a drink that helps consumers achieve what they want to achieve not only the physical aspect but also mental as well. The ingredients in the drink help people feel reinvigorated and give them a sense of confidence to ace whatever they need to ace. Whether it is a job interview, asking a girl out, learning a new language or making a decision, the Warrior energy drink gives consumers the confidence to do that, said Jate. When asked if Warrior will cannabalise share in the existing Red Bull segment, Jate said Red Bull and Warrior complement each other. He cited the example of consumers who do not like fizzy drink can still continue to drink Red Bull. Allexcel does not have plans to launch a sugar free energy drink at the moment. The company will see how the new Warrior energy drink performs in the market. At some point, if the company reckons there is a need for sugar free, the company will definitely consider that. Jate feels that to be honest, sugar free or less sugar does not do that well in Malaysia as Malaysians generally have a sweet tooth. Allexcel is trying to develop a new category and that is the sparkling energy drink segment. 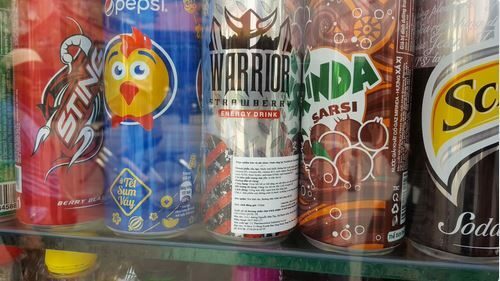 Looking at the broader picture, Warrior competes with a few adjacent categories including carbonated soft drinks but he believes Warrior is a little better than carbonated soft drinks. 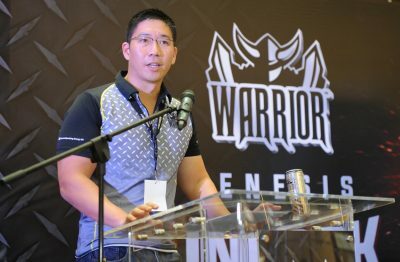 This is because the drink contains vitamins and ginseng, which makes Warrior having a better value proposition than carbonated soft drinks and tastes great as well. When asked if Allexcel has plans to introduce Warrior in PET bottle, Jate said they will go with the can at this point. Warrior’s design is metallic, cool and sharp and if they put it into a bottle, you will not have the same effect. The logo is chosen to represent the inner warrior in a person. According to Jate, everyone has an innate warrior and the energy drink aims to help people to bring that out and fight for anything that they want to achieve. Allexcel is definitely considering the natural energy drink segment but at this point the company will go with what they have. The Warrior energy drink has real lemon juice. Jate said the natural ingredients part is definitely on the table but will stick with Warrior to see how it goes. Vietnam is Warrior’s first market. Warrior will definitely roll out in Southeast Asia. Allexcel has rights for Malaysia, Singapore and Brunei. The company will seek those out slowly. T.C. Pharmaceutical Industries, the brand owner, will slowly try to get Warrior into the rest of Indochina. Malaysia has a very low per capita consumption of energy drink at 1.3 litres per year, said Jate citing Canadean data. The per capita consumption in Vietnam is three to four times larger than Malaysia, which shows there is still a large potential in Malaysia. The key task is to education consumers a little bit more as Malaysian consumers are not 100% clear on the value proposition of energy drinks and what the ingredients do. The company will need to educate consumers on the ingredients and what they can do to them from a physical and psychological aspects. Red Bull has been in Malaysia since 1991. Allexcel uses different SKUs for different segments. The original gold can is for frequent drinkers who need the power. The 25% less sugar is for the more health conscious and people who like it less sweet, targeting the youths and the white collars. According to Jate, Red Bull (Product of Europe) is the same brand but with a different positioning and slightly different SKU. They are more lifestyle as they have the F1 and the air race. Red Bull is happy to coexist with them as they sort of have the same owners. Red Bull (Product of Europe) is premium and lifestyle focus. Consumers can drink Red Bull on a frequent basis but if they go to party and look good, they can drink Red Bull (Product of Europe), said Jate. Red Bull (Product of Europe) is more into extreme sports. 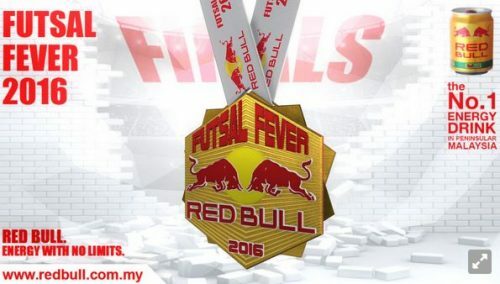 On the other hand, Red Bull’s marketing activities are more localised, focusing on futsal, which is big for the brand, as well as other local activities like street basketball. Red Bull does local events because Red Bull Malaysia caters to the local population and will leave extreme sports to Red Bull (Product of Europe). E-sports is one of the huge initiatives of Red Bull in Malaysia and it was the first time the company had this event in the country in 2016. Jate said the company had a very successful season one. He said Red Bull makes gamers better gamers because they are playing games for seven hours at a time and they need the mental endurance. So Red Bull is an enabling tool for them to become better gamers. 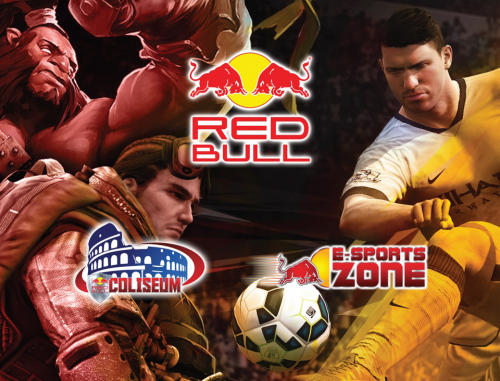 Red Bull has the portal with game related news and lifestyle as well as a tournament hub. The company organised three different tournaments in 2016 including FIFA, Counter-Strike: Global Offensive (CS:GO) and Dota 2. The esport initiative serves as a platform for Malaysian games to compete with each other to get better and this would probably elevate their play to the international level. Warrior is only three months old. The main task is to get the word out there through roadshows to get people understand what Warrior is about and to get them to taste the drink. The roadshow will make its way down to Johor Baru from April 29 to 30 and Penang from May 20 to 21.